Thus far in 2014, the highest prices paid for classic cars at public auction were for a 1954 Ferrari 375-Plus at Goodwood, 1958 Ferrari 250 GT at Arizona, a 1966 Ferrari GTB/C in Monaco and a 1964 Ford GT40 in Houston. The ten most-expensive cars sold at public auction in 2014 (January to July) include five models by Ferrari and only one by Mercedes Benz. Although Bonhams took the top spot mid-year, RM Auctions achieved half the results on the top-ten list of highest prices paid for classic cars thus far this year. 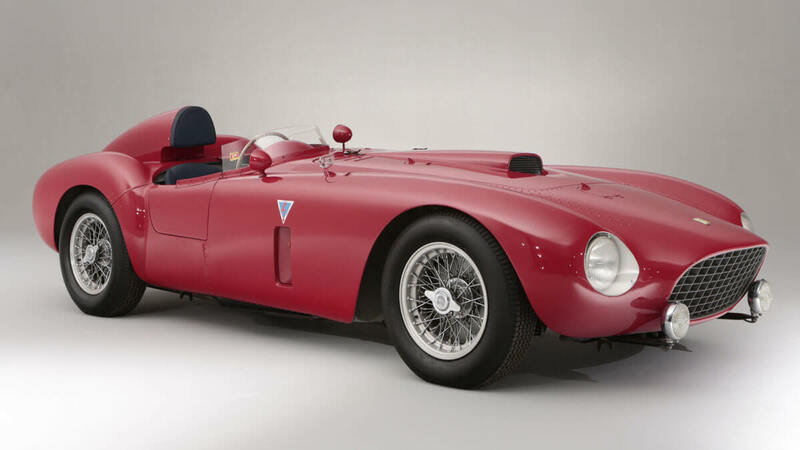 The most expensive classic car thus far in 2014 (mid-June) is the 1954 Ferrari 4.9-litre 375-Plus Sports-Racing Two-Seat Spider Competizione sold for £10,753,500 ($18,309,613) at the 2014 Bonhams Festival of Speed Auction as the most-expensive racing Ferrari ever sold at public auction. The result was more than double that achieved for the 1958 Ferrari 250 GT LWB California that sold for $8,800,000 at the RM Auction in Arizona in January. Three Ferraris now lead the list of the ten most-expensive cars in 2014. Two Ferraris were added after the Monaco auction, including the third highest price paid for a car at auction thus far in 2014 – a 1966 Ferrari 275 GTB/C. The fourth placed Ford GT40/104 was the fourth prototype built by Ford and the car that debuted for Ford at Le Mans in 1964. It is the second oldest GT40 in existence. The GT40/104 sold for $7,000,000 at Mecum’s Houston Auction in April 2014. The fifth placed Delahaye set the auction record for Amelia Island and is also by far the most expensive Delahaye ever sold at public auction. The $6,600,000 paid at the RM Auction is double the previous marque record for Delahaye. A Ferrari at the top of the most-expensive cars list is no surprise – more surprising was the absence of Mercedes Benz models until the Bonhams sale at the Mercedes Benz Museum in Stuttgart in July finally produced a top-ten result. Porches did well at Amelia Island but all have now dropped out of the top-ten list. The world record price for the 1967 Chevrolet Corvette at Scottsdale in January was as expected not high enough to keep this special Corvette on the top-ten list for the full year. If prices remain as high as in previous years, at especially the Monterey Classic Car Week, only the leading Ferraris and maybe the Ford and Delahaye are still likely be on the final 2014 top-ten list. In the battle of the auction houses, Bonhams finally burst onto the scene mid-year by taking the top slot for the 1954 Ferarri 375-Plus at more than double the result achieved for the second placed Ferrari. RM Auctions still has half of the top-ten prices but no longer top spot. Gooding & Co, which does not have a major sale between Amelia Island and California in summer, still has two cars on the list and Mecum one. For cars achieving more than a million dollar in 2014 (January to July), RM Auctions leads with 38 followed by Bonhams 24 and Gooding with 22 . Other auction houses have also achieved such sales. The next major classic car auctions are at the Monterey Classic Car Week in August when most of the top prices for the year will probably be achieved.